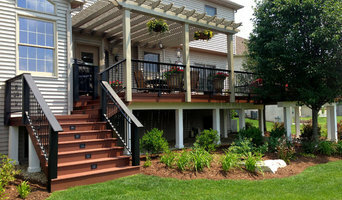 Unique Deck Builders has been specializing in the design and construction of unique outdoor environments for 30 years. From concept to completion, we are here to guide you every step of the way. Archadeck handles every aspect of the construction process, from obtaining all necessary permits to thorough inspections upon completion of the project. You won’t need to worry about anything. Rooftopia's award winning team, will transform any exterior into a luxurious outdoor living space. 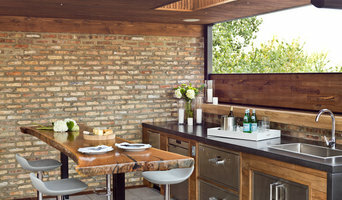 We are a woman-owned Design Build Firm and a full service general contractor based in Chicago. We have a passion for green spaces, a flare for detail, are crazy about meticulous craftsmanship and stellar customer service. We blend innovative ideas and high end products to personalize each of our projects. Our design and installation process is attentive to all project details to ensure the finished results are spectacular. Call us anytime during business hours Monday - Friday 7am - 5pm. In business since 1983, Deckwerks designs a custom plan to suit your specific home improvement needs, then follows up with quality craftsmanship & an attention to detail you won't find anywhere else. J.G.S. 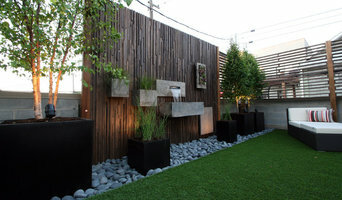 Landscape Architects, Inc. is a landscape architecture firm located in Palos Park, Illinois focusing on and specializing in the creation and development of outdoor living environments. J.G.S. has been providing complete site planning and development services for our clients since 1983. Our firm strives to create master plans that are user-oriented, site sensitive, environmentally sustainable and functionally effective. We provide site planning, consulting, and implementation services to residential, commercial and municipal clientele. We have a broad range of experience in site planning, landscape architecture, and the development of environmentally sustainable, ecologically sound exterior spaces. Our firms experience enables us to provide creative, innovative and effective solutions by marrying structure and site to fit the needs of our clients with minimal impact on the environment. J.G.S. Landscape Architects strives to ensure that our client's goals are translated into creative, functional and cohesive exterior spaces. Our firm accomplishes this by working closely with our clients to ensure the finished product reflects their individual preferences as well as incorporating the natural aspects of the local environment. 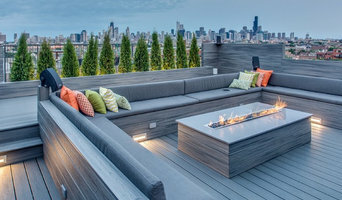 Rooftopia strives to find creative ways to design & install your dream outdoor living space! We have a passion for green spaces, a flare for detail & making your experience with us the best it can be! We started business in 1987 as deck contractors, D&M Custom Decks. Shortly after we were installing pavers patio's. With today's ever changing market and products, we have evolved into a premiere designer/installer of outdoor living areas. As of spring 2009 we changed the name to D&M Outdoor Living Areas. You will find we are the most versatile installer of pavers, wood, composite materials and stone. With your input we can assess what best suits your lifestyle, budget and design needs. We are a licenced,insured and bonded company with a long lasting record of quality and satisfaction in the hardscape and landscape design and installation industry. When you are ready to begin your project, you can be confident that D&M Outdoor Living Spaces is the right choice for you. Royal Corinthian manufactures fiberglass, PVC, FRP, GFRC, polyurethane, and synthetic stone architectural columns, balustrade systems, fireplaces, pergolas, crown molding, shutters, architectural cornice, and a plethora of millwork products for interior and exterior use. 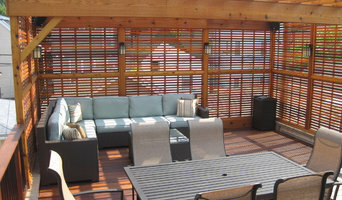 Partipilo Custom Decks is Chicagoland's leader in quality Deck, Porch, Pergola, and Screen Room building and design. We aim to surpass our competition by designing and building everything in- house instead of subcontracting out the most important part, the construction, to other companies. We have been in the construction industry for over a decade and have worked on everything from concrete to custom home framing and complicated architectural designs. By starting out in the framing trade we have knowledge most builders don't about the proper methods of assembly and construction that you can only learn from rough framing carpentry. We strive to stay up to date on the latest construction techniques and methods, using only the best tools and materials to deliver the highest quality product imaginable. Call us today to set up your appointment. Looking for a Custom Room Addition in Naperville or Chicagoland West Suburb of Dupage? REBUS Better Living Spaces provides expert designers and hand-crafted carpentry and concrete work. Whether you're remodeling your basement, adding a custom room addition, expanding with an outdoor living area or building a sunroom/patio room, we have your new living space covered and you'll always deal directly with the owners!